Girls’ Club is a 501(c)3 private foundation and alternative space established in 2006 by Francie Bishop Good and David Horvitz. 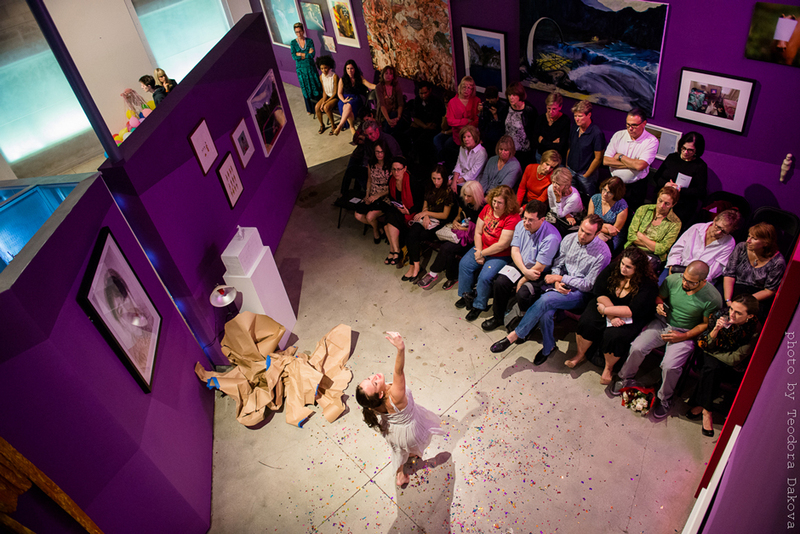 Girls’ Club produces exhibitions, educational programming, publications and events that change lives, nurture local artists, and inspire cultural growth in South Florida. 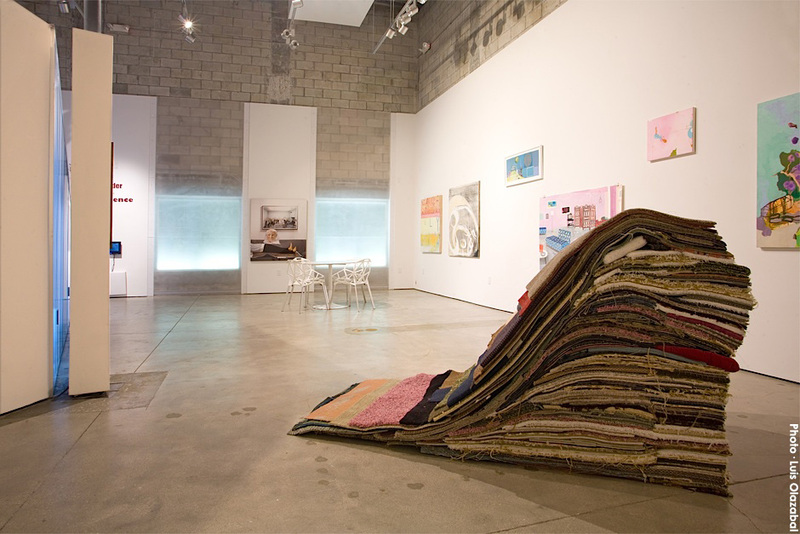 Girls' Club is the only private collection open to the public that focuses on contemporary art by women in the world. The mission of Girls’ Club is to educate the public, nurture the careers of female artists, and to serve as a resource for art students and scholars, curators and practicing artists on the contributions of women to the field of contemporary art. A special commitment is made to expose the work of local artists to a broader national and international audience. Occupying a space in between the traditional realms of museum, private gallery, and community art center, Girls’ Club is uniquely disposed to educate the public about new trends in art-making as they arise. Thematic, curated exhibitions feature works from the Good/Horvitz collection, works loaned from other collections, and works from local, national and international contemporary artists. The exhibitions at Girls’ Club are free and open to the public, accessible to a wide audience. Informal guided tours and discussions are always available. We welcome museum and university groups by appointment. The works of contemporary art collected by Francie Bishop Good and David Horvitz encompass cutting edge visions from artists working in painting, drawing, photography and video from the 1960s to the present. Good’s sensibility as a photographer and multimedia artist is reflected in the Girls’ Club collection, which features works by seminal photographers Diane Arbus, Cindy Sherman, Nan Goldin, Gregory Crewdson and Lorna Simpson, as well as up-and-coming photographers Katy Grannan, Nikki S. Lee, and Loretta Lux. Important works in painting and sculpture are represented by Ingrid Calame, Petah Coyne, Tara Donovan, Inka Essenhigh, Ellen Gallagher, Elizabeth Murray, Wangechi Mutu, Cornelia Parker, Amy Sillman and Kiki Smith. Girls’ Club nurtures the careers of South Florida artists such as Carol Brown, Teresita Fernandez, Naomi Fisher, Pepe Mar, Beatriz Monteavaro, and Frances Trombly. Throughout the year Girls’ Club presents special events, artist talks, film screenings, panel discussions, and performances that invite the public behind the scenes of the creative process to understand the inspirations and forces shaping artists today. These occur at Girls' Club and other partnering locations. Beyond our exhibition program, Girls’ Club offers specialized workshops for women and girls in Broward County. Collaborating with partners Susan B. Anthony Recovery Center, Women in Distress of Broward County, PACE Center for Girls and Young at Art Museum, and MOCA North Miami’s Women on the Rise program, Girls’ Club offers multimedia and digital imaging workshops that build self-esteem while developing creative skill sets using art and technology for women and girls navigating transitions in their lives. Affordable technical and professional development workshops are offered to artists at Girls’ Club. Using the model of artists teaching artists, workshops have covered pinhole photography, solarplate etching, website design, and 16mm film. Girls’ Club’s welcomes college students, recent graduates and young professionals to apply for our growing internship program. The program provides an introduction to the inner workings of managing a non-profit space and training in arts administration, collection management, public relations, marketing and education development. We encourage applicants from a wide range of disciplines, a background in art, art administration and art history preferred. 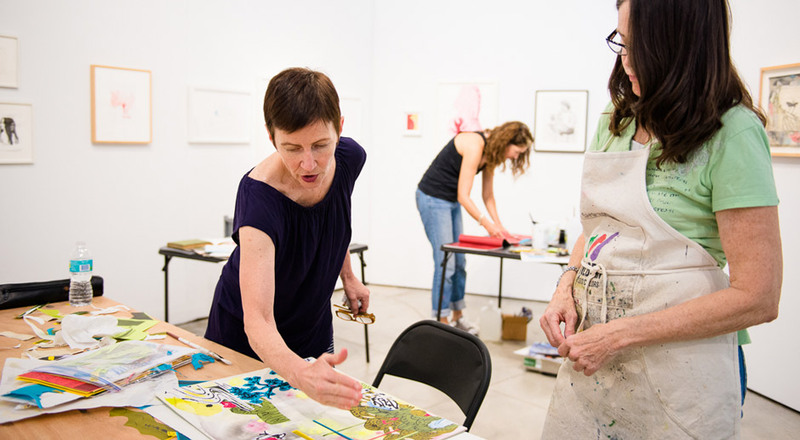 Program participants receive on-one-on training, often heading special projects and working directly with artists and local arts professionals. Internships are available each semester and can be designed to fit each participant’s schedule. Department-specific internships are available in Graphic Design, Web Development/Social Media, Videography/Photography documentation and Education Programming. Writing samples and example of work may be required. Girls’ Club welcomes advanced undergraduate students or recent graduates to apply for the semester-based fellowship program to gain a substantive understanding of arts administration and contribute to Girls’ Club public programs with independent projects relating to curatorial, collection management, education, publications and/or online media. Fellows are employed 15 hours a week for a 5-6 month period and receive a stipend of $3000. Girls' Club currently operates out of a converted warehouse in the micro neighborhood of Flagler Uptown, in downtown Fort Lauderdale. The facility houses the collection of Francie Bishop Good, using the works as inspiration and an educational resource for the programs presented by Girls' Club, as well as a black-box style gallery that will show rotating exhibitions from local artists, curators and creatives. 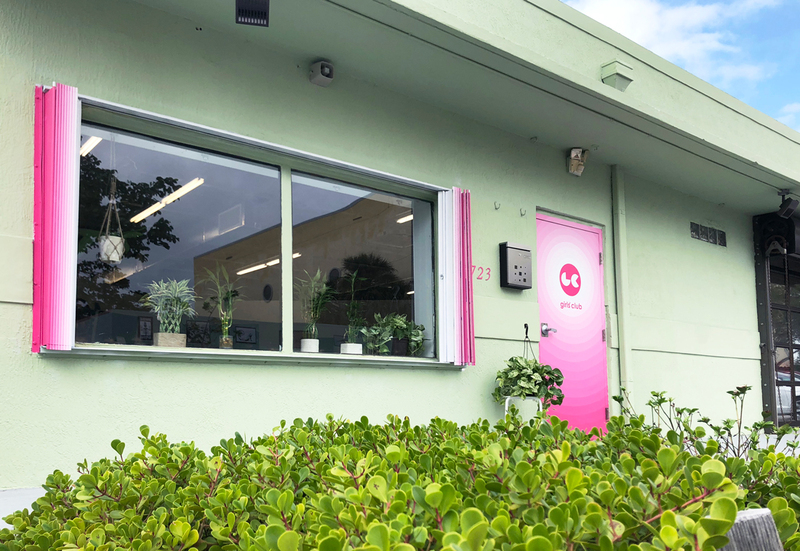 Girls’ Club was originally housed in a dynamic, multi-functional building designed by Margi Nothard, principal of the award-winning Glavovic Studio in Fort Lauderdale from 2007-2017. Glavovic Studio converted the existing warehouse via the use of layered materials, light and movement to create a unique, art-oriented environment for the collection of contemporary art of Francie Bishop Good and David Horvitz. Pale green translucent fiberglass panels are mounted on a steel frame over the existing building facade and windows. This material diffuses natural light into the gallery during the day, and at night, when illuminated from within, it glows an emerald shade of green, adding vivid color to the street. This transparency informs the building’s interior as well. Partition walls of industrial recycled materials are embedded with LED lights. Resins, plastics, polymers and colors are layered to define private and public spaces. Access to a mezzanine is denoted by an intense orange zone. A pair of pivot walls create a flexible installation space. Glavovic Studio has received numerous awards for the design of Girls’ Club and other projects, including World Architecture’s Annual Community Award in 2012 and a 2008 AIA State Merit Award. Read about the conception and the evolution of Girls’ Club’s architecture here. Girls’ Club acknowledges support from the Broward County Cultural Division, the Florida Division of Cultural Affairs, the Elizabeth Firestone Graham Foundation, Funding Arts Broward, the John S. and James L. Knight Foundation, Target Foundation, PNC Foundation and private donors.